and theoriless in the waters. For once my intentions are transparent. but in a sad way like film. are explored and then they’re meditated on. Then some more bad deeds are leaked. In my poem my word is gold. I mean the law is worth my heart in gold. because in my poem I have no rivals. In my poem it remains unclear what they want with me. At the end of the book, we see Toder stepping back to get, well, “meta.” She writes as if she were writing a personal poem, but clearly, she’s simply describing what a personal, expressive poem would look like. So there’s something wry here, something that is held back, and for good measure. These poems do hold back, but it’s like they’ve learned––like Toder’s learned––that saying too much is not always the healing grace it’s sometimes claimed to be. She’s learned the art of the scientific approach––a knowingness, not an expression. And it serves Science quite well. 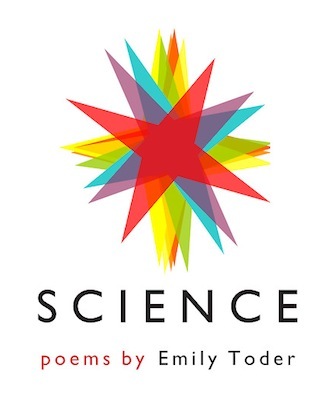 Science is available through Small Press Distribution and Coconut Books, and through Bandcamp as an audiobook for $5.